Peach Cobbler Mystery is done! This is the sixth book in the Amish Sweet Shop Mystery series. I really have loved writing them and I can’t wait to see what you think of it. To get the special sale price, pre-order Peach Cobbler Mystery HERE. This month we have our usual monthly meetings. 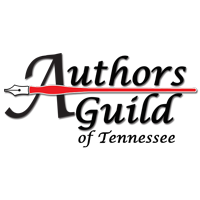 . . the ACFW (American Christian Fiction Writers) Knoxville group, plus the Knoxville Writers Guild and the Authors Guild of Tennessee — all of these are groups which we are active members and share our knowledge and learn from others in each group. We attended SOKYBF2018… this was Southern Kentucky Book Fest ‘s 20th anniversary! JC Morrows held a workshop on Friday and it was A.M.A.Z.I.N.G. JC will be doing this workshop several more times this year. The next scheduled date for it is June 9th! For more information check out JC’s WEBSITE. There are several events and family activities to keep us busy during May. Thankfully, May isn’t quite as busy as April, so I’ll be able to get in some writing — and editing — time, too. We will be attending the New Midland Plaza Spring Fair and the Children’s Festival of Reading (at the World’s Fair Site) this month. And. . . TADA! The Alien’s Daughter by JC & Macy Morrows will be releasing on May 15th. I’ve read this and it’s an awesome story that I’m sure teens everywhere will enjoy! To pre-order The Alien’s Daughter, click HERE. Last month, we tried to sneak away to the beach for a few days. . . but the weather was cold and rainy, so we’ll probably wait until fall. Previous Post Have you ever wanted a do-over? Next Post The Alien’s Daughter releases today!! !